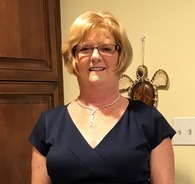 Nancy Ryan has been a member of the Career Center family since 1999. Ms. Ryan has a true love for teaching started when she came to KACC, taking a position of Perkin’s Grant Tutor through Kankakee Area Regional Vocational Education System. Ms. Ryan tutored students in both reading and mathematics as it related to their specific CTE area in which they were studying. Based on pre and posttest results . . . Thanks Bradley Fire Department and Lieutenant Dockus! The students enrolled in the Fire-Rescue-EMR curriculum at the Kankakee Area Career Center have been learning about fire protection systems - specifically automatic fire sprinklers and standpipe systems which, aid firefighters in extinguishing fires. To obtain a better understand of this subject, students recently took a field trip to a commercial occupancy in Bradley, Illinois. This allowed students to . . . Thanks to Our Local Law Enforcement Officers! Law Enforcement is well known for their ability to Protect and Serve. Today, was all about serving KACC by teaching methods to help us protect our students and our school. Great thanks to the Kankakee County Emergency Response Team for coming to KACC this morning to complete A.L.I.C.E. Training. The acronym stands for Alert, Lockdown, Inform, Counter, and Evacuate. This training was designed to . . . If there’s one thing we know at KACC – we don’t ever know everything! This year, KACC teamed up with Kankakee Community College and Dr. Kris Condon to learn something new. With the assistance of Dr. Condon, KACC Faculty earned Workplace Excellence Instructor Certification. Workplace Excellence, WPE for short, has been embedded into every course offering at KACC. The WPE Series . . .
Director, Matt Kelley, Principal, Tim Guerin, and Dean of Students, Lucas Papineau join all of us here at the Kankakee Area Career Center (KACC) to say THANK YOU TO OUR SCHOLARSHIP SPONSORS! Once again, our community business partners are demonstrating their depth of generosity when it comes to education and the Kankakee Area Career Center. Sponsorships have begun coming in to support the 15th Annual . . . 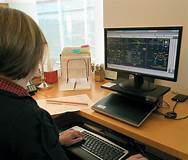 The Drafting + 3D Design program at the Career Center is a two-year program offered to juniors and seniors. Even though this course . 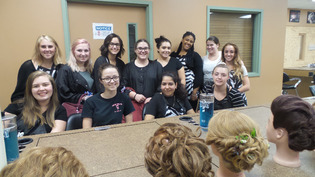 . .
Take advantage of the Kankakee Area Career Center Full-Service Salon. Our Salon is staffed by teachers who work side-by-side with . . . When we come across an informative and interesting article or video, we will post a link within this short article. Since this particular . . .
Students in Construction Technology build and maintain structures ranging from rough scaffolds, residential electric and concrete forms to . . . 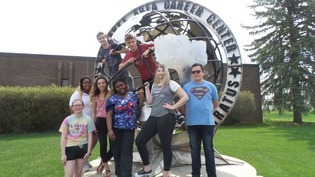 The primary purpose of the Kankakee Area Career Center (KACC) is to meet the Career and Technical Education needs of regional . . .